This document collates the rules and conditions to be applied for the Financial Support to Third Parties (FSTP) funding scheme to support Experiments through the competitive calls within the AMable project. The document is addressed to potential applicants and aims at being a practical guideline for successful application. The aim of AMable project is to accelerate the uptake of additive manufacturing technologies; from design to manufacture for functional parts throughout the European Union. 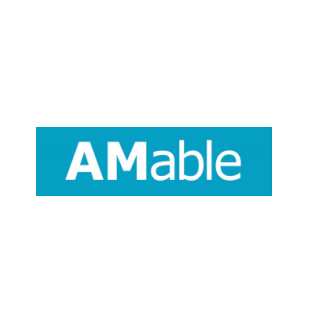 AMable is creating a digital framework to provide impartial access to the best European AM knowledge to support this adoption. This knowledge will be offered as advanced and tailored services to assist SMEs in the adoption of AM and include technological, business and training services. To build a truly pan European initiative, there are several renown research institutes and best-of-breed consulting companies involved in AMable project, from Germany, the UK, the Netherlands, Belgium, Spain, Greece, Finland, Italy, Poland, Denmark and Cyprus, among other countries. These partners will provide the technological backbone for guidance and support in transferring ideas to production in a profitable way and will manage the “AMable service arena”. Further information about the AMable project is available through project website and Cordis portal. AMable is co-funded from the European Union’s Horizon 2020 research and innovation programme under grant agreement No 768775, foresees as an eligible activity the provision of financial support to third parties, as a means to achieve its own objectives. The types of activities to perform that qualify for receiving financial support are detailed in the guide for applicants. AMable aims to conduct so called experiments to support European SME’s in the supplier role and European industrial customers in the user role to develop an idea towards a final product. The AMable project supports these Experimentation Teams by services across all steps from design to finish. The initiative runs under the umbrella of European Commission’s initiative “Innovation for manufacturing SMEs (I4MS)”. The Experimentation teams need to be composed of a legal entity of SME or mid- cap type in the supplier role, and a legal entity in the user role that represents the envisioned product’s market segment – preferably an SME, both registered in one of the European Union’s member states. They need to team up with a tutor, which is a member of the consortium. The entities in the user and supplier role need to provide the following to be selected for support. - An innovative idea for an additively manufactured product that is economically and technologically viable. The tender needs to describe the product idea, its innovation and a strong business case for the European market (revenue, labour, societal impact). - Challenges connected to the product idea, which the tendering entity intends to resolve with the help of AMable services. The tender needs to describe these challenges and how they are expected to be resolved by the selected services. - List of expected expenses to deliver the specifications given below. These expenses need to be split into cost for labour to execute work and prepare deliverables and cost for external goods and services (consumables, printing, testing). The Experimentation Team is led by a SME or mid-cap company in the supplier role (lead partner) with a need for support to achieve the described goal. The Experimentation Team is supported by a company (preferably an SME) in the user role which defines product requirements based on a representative business case. The Experimentation Team needs to identify one AMable partner to act as the primary collaboration point, the AMable Tutor. Please find an explanation of the criteria and their priorities in one of the next sections. AMable aims to provide advanced digital infrastructure for use in SME and industrial environments. Each Experimentation Team therefore is requested to declare their competencies in software and hardware installation in their organisation. The envisioned solution of the AMable Digital Data Chain will comprise Java TM based deployments of data endpoint connectors (Industrial Data Space Specification) that use Blockchain technology and devices for multi- factor authentication. Teams that engage with this topic need to indicate this in the proposal (see template). AMable offers AM related services through its Services Arena. These services aim to support the Experimentation Teams to increase their knowledge and competence so that the Experimentation Team is able to come to a state where the product idea has a design that is additively manufacturable. Each Experimentation Team needs to select one service from the primary service list and may select any second service from the services arena. The services are explained in more detail in the Annex of this document. Technology Competence Centers that are available as tutors for this call are: AIMEN, DTI, Fraunhofer ILT, Frederick, Inspire, LMS, IK4-LORTEK, The MTC, SIRRIS, SUPSI, Politechnico di Torino, TNO, TWI, Politechnika Wroclawska, VTT. Data Protection and Privacy: Information sent to the mail address tutors@amable.eu is forwarded to a mail distribution service which will transfer the content to employees of the above named competence centers. A copy of the mail is stored in the mail box to manage and track the requests. The Experimentation Teams need to describe the business case that drives the experiment. The analysis needs to be based on actual market data and needs to cover the product life cycle from idea through development to market penetration with the expected production ramp up scenario. The corresponding economic and technological feasibility needs to be explained and the risk factors need to be identified. 1) Initialisation Report – As a result of the first collaboration of the Experiment Team with its tutor and the service providers, a report of the initial situation and the actual planning needs to be filed. It includes the business case analysis, implementation plan, risk register and progress indicators. 2) Implementation Report – A deliverable that reports on the implementation of the planned service execution. It includes activity reports, achievements descriptions, risk register update and an explanation on the progress indicators. The business case analysis needs to cover most recent changes at that time. 3) Validation Report – A deliverable that reports and demonstrates the result of the executed work with respect to the business case and the implemented product. It includes a risk report, exploitable results and a comparison of planned progress against achieved results. On a regular basis, status updates need to be provided to the tutor of the Experimentation Team for monitoring of progress and risks. Periodically, members of the experimentation team will be asked to provide feedback on the usability of the controlling tools and suitability of the services. The result of the questionnaires are part of the above deliverables. The Experimentation Teams need to provide a publishable story, pictures and video footage about their product idea and their experimentation work. Media files need to be of high resolution but do not need to disclose IP. Story, pictures and video footage are part of the deliverables. Each Experimentation Team will need to visit at least one public event that takes place within the European Union to present achievements and results of the initialisation experiment, or to collaborate on skills development. The cost for travel and subsistence are eligible and need to be included in the proposed budget. The final result of the experiment needs to be described so that the evolution of the product idea, the achievement and the effort that was invested becomes publically visible while the underlying IP remains confidential. Applicable requirements and limitations are in line with Grant Agreement no768775 signed by the AMable partners and the European Commission. The actual support is provided on the basis of Annex K of the H2020 Model Grant Agreement through Financial Support to Third Parties (FSTP). A legal entity that applies for financial support needs to be legally recognised (have ‘legal personality’) and needs to have the right legal status to qualify for H2020 funding. Research and technology development organisations are not eligible, nor consortium members. Each Experimentation Team consists of at least one supplier (third party), at least one user (third party) and a tutor (AMable consortium member). Supplier and user have to select a tutor prior to proposal submission (see also 2.2). The minimal Experimentation Team consists of one supplier, one user and one tutor, the maximum number of thirds parties in an Experimentation Team is three. The Experimentation Team needs to have a cross border dimension. This is achieved if the legal entities involved in an Experimentation Team are from more than one European country. The legal entity in the supplier role is a SME or a mid-cap, which supplies parts or services to other parties such as consumers or industry. The legal entity in the user role is a company that intends to use the envisioned product in a market relevant context. SMEs, midcaps and large companies which are in the “USER” role may receive funding for personnel resources to define the manufacturing challenge, to discuss the implementation options and to validate the result of the experiment. Expenses for consumables, travel and subsistence are financially supported to enable meetings and validation. Within an experiment, the user’s overall budget share is expected less than 20% of the financial support to the experiment. SMEs of mid-caps in the role of the “SUPPLIER” may receive funding for personnel and consumable resources to develop and propose the innovative design approach, to design and construct the prototype and to implement the solution so that the user can validate its fit for purpose. The financial support also covers expenses for consumables, travel and subsistence which are needed to enable the execution of the experiment. Within an experiment, the supplier’s overall budget share is expected more than 80% of the financial support to the experiment. The experiment needs to have an impact on European business and employment thus achieving an economic benefit. It needs to address at least one societal challenge: Environment, Energy, Mobility, Health and Well-being, Security. Each Experiment Team needs to indicate the type of experiment to achieve the objectives. The actual call aims at an equal amount of Best Practice Experiments and Feasibility Study Experiments.  Feasibility Studies: short-term experiments (3-6 months) which are focused to analyse and demonstrate the feasibility of developing new products or businesses related to the Digital Design for AM challenge in a decentralised and distributed digital environment.  Best Practice Experiments: Widespread application experiments (4-12 months) which are conceived for benchmarking, testing, validation and improvement of new AM products, services and standards. The exact amount of the financial support will be calculated on the basis of the cost that are specified by the third parties. Each party has to provide personnel direct cost per hour (w/o overhead) and the planned effort. Each party has to specify other cost such as consumables and travel cost. If this cost is appropriate and the criteria for awarding financial support are met, 70% of the substantiated amount can be provided as financial support. In line with the H2020 funding conditions, a flat rate of 25% of the financial support covers any indirect cost. No single party may receive more than 60k€ from the AMable consortium per call unless it is necessary to achieve the objectives of the action. No single party may receive more than a total of 100k€ from the AMable consortium. 3.2 Criteria for awarding financial support to Experiments The proposals will be evaluated against four criteria. 1 Relevance to the European Economy: Application experiments must have a clear European dimension – either by carrying out cross border experimentation or in other ways expanding the impact of local experiments to European scale. 2 Impact of the experiment and the anticipated result: Potential impacts of the proposed products or businesses cases must be based on actual and realistic scenarios. The anticipated solution must address a potential market that leverages the requested financial support. The experiment must provide information for communication to the public so that the community can follow its progress. 3 Excellence of the idea and approach: The objectives of the application experiments must be SMART (specific, measurable, assigned, realistic, time-bound) and must demonstrate a clear vision from the defined start to finish. The use of services needs to suit the objectives and needs to support the path towards the final solution. 4 Quality and efficiency of the implementation: The selected services and the approach must address the AM digital design and manufacturing challenge. The Experimentation Team needs a clear lack of knowledge in the area where support is requested and sufficient basic competence to learn and adopt. The resource allocation needs to be appropriate.  5 (Excellent): The proposal successfully addresses all relevant aspects of the criterion in question. Proposals which fail to achieve a score of at least 3 for any of the criteria cannot be funded (score threshold). After evaluation, proposals are listed by score and experiment type to equally address both types of experiments (best practice / feasibility study). In the case of equal scores, proposals are ranked after criterion 2, “Impact of the experiment and the anticipated result”. If such proposals have equal scores for criterion 2, the proposal is ranked after criterion 3, “Excellence of the idea and approach”. If such proposals have equal score for criterion 3, then proposals are prioritised by the consortium to balance service resources and to cover the call objectives best. - Funding will not be awarded to individual legal entities that have already received more than 100.000 Euro via open calls (FSTP) in the H2020 ICT programme. The call for proposals / open call will be published on the AMable website. It will be communicated through social media, through the I4MS CSA project and on the web page of the Commission. The primary source for documents remains at the URL of the AMable web site (www.amable.eu). Expenses incurred in the preparation and dispatch of the proposals will not be reimbursed.